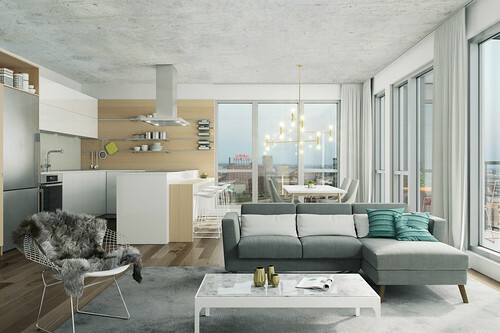 Modern and luxurious, our 1- to 3-bedroom condos offer design, comfort, and status within an exceptional locale. 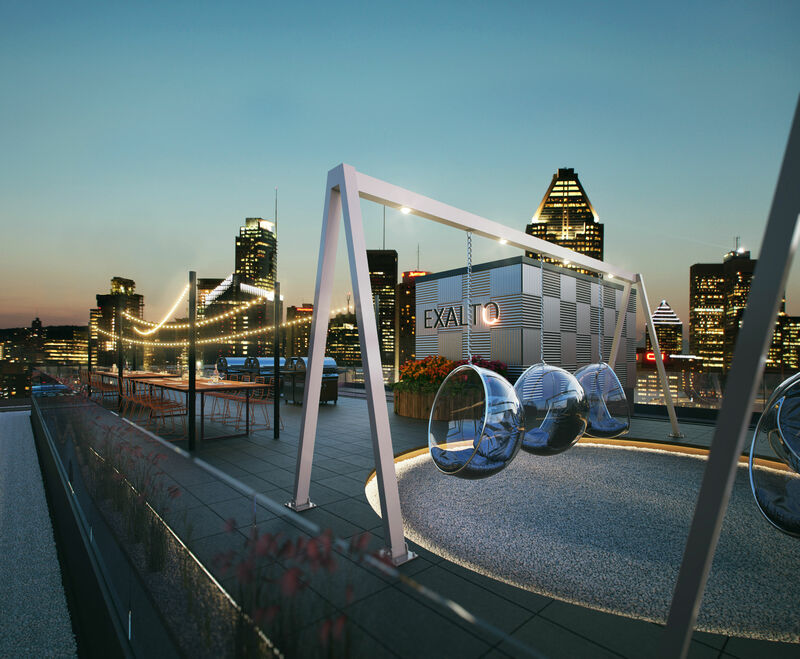 Beautifully located in the renowned Griffintown quarter, Exalto soars skyward at the corner of Peel and Wellington, steps from Old Montreal. 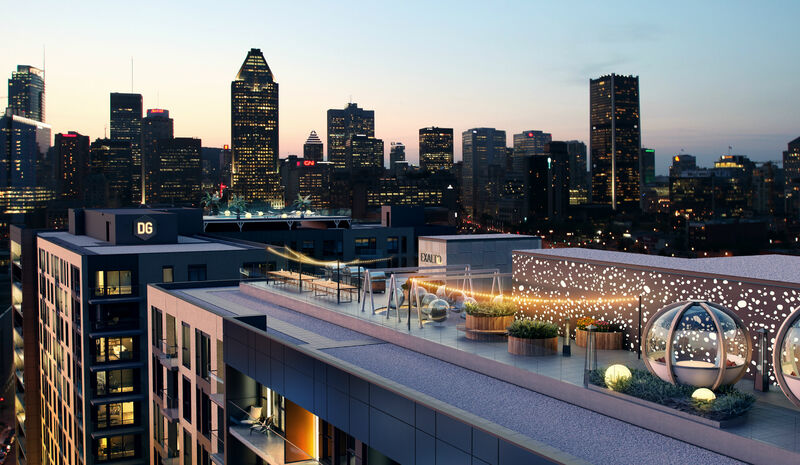 The project’s stunning amenities have set a new benchmark for downtown professionals, couples and Montreal families looking for a remarkable lifestyle. 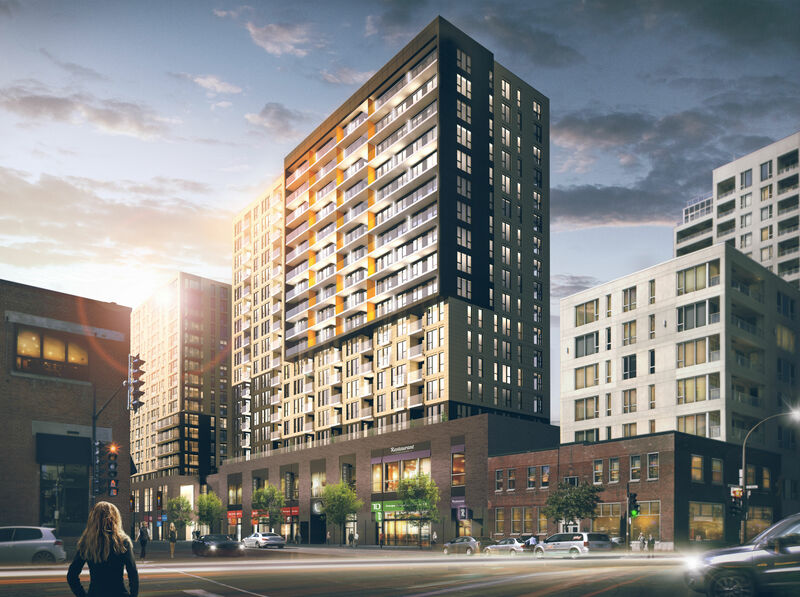 Perched above a 140,000 square-foot marketplace, your condo gives you access to a variety of services: groceries, SAQ, pharmacy, banks as well as a number of restaurants and boutiques -all this without ever leaving home! Our lofts and condominiums integrate the latest innovations in home automation. Tech geeks will be blown away by the smart ergonomics of our evolutionary units. At the end of the day: singular living spaces, with Euro style, customized according to your utmost desires! Many options available: smart thermostats, wireless key entry, unique ambient lighting, modular kitchens, integrated USB plugs in electrical outlets, embedded Bluetooth speakers and more! Designed with families, professionals, couples and singles in mind, our condos transform to suit your needs throughout the day. 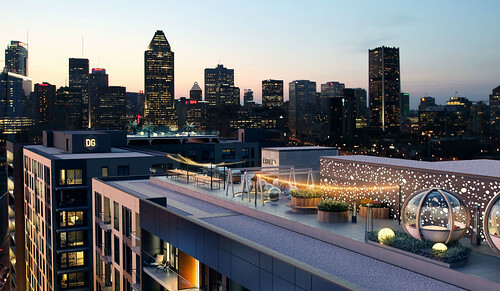 Devimco is proud to be one of Quebec’s trailblazer in the world of real estate. Always at the forefront, the company is constantly evolving and, with Exalto, has managed to seamlessly combine the best of interior design and European technologies. The following options, available in our 1, 2, and 3-bedroom units, let you transform your living area in no time at all. Everything has been thought out so you can move from breakfast to work to an evening with friends to bedtime in a snap. No more wasted space; time for total functionality and a sleek look. 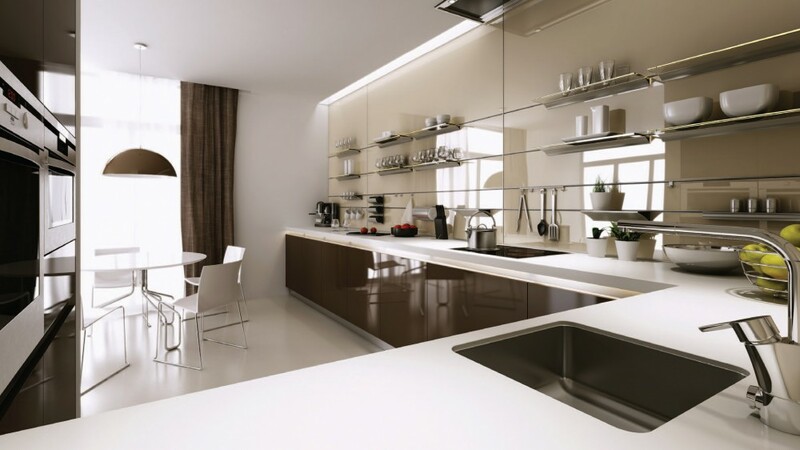 Zobal’s very popular system gives you the option of transforming your kitchen and bathroom walls in a few seconds by adding shelves, hooks, and other useful accessories. Our sinks’ sleek lines and esthetic appeal are inspired from Corian’s ultra-resistant and non-porous surface. Certified GREEN GUARD Indoor Air Quality®, it combines both the roughness of stone and the softness of satin. Designed by Planchers Mirage, a Quebec company, our floors are made from the highest quality wood, sourced from forests certified as being responsibly managed. Thanks to our NanolinxTM finishes based on nanotechnology, your floor will be protected from all of life’s little mishaps for a very long time. In addition to enjoying an always evolving living area and multi-purpose furniture, you can choose for a wide range of modern finishing touches that let you customize your unit down to the last details. You won’t find another project with as many services and amenities. 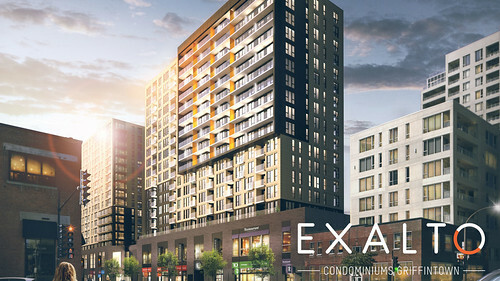 Making life easier at every turn, Exalto combines the best of the boutique-hotel, resort and spa experience, into a high-end real estate complex. The incredible rooftop views are just the beginning! Soak them in from the coolness of the Bubble Lounge, where alpine cocoons, bubble swings, fireplaces, and heated outdoor BBQ areas are yours to enjoy. 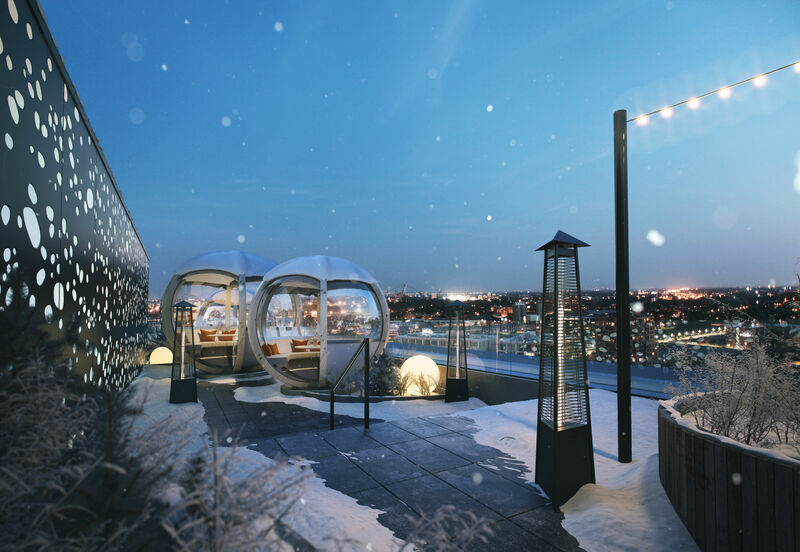 Experience the lights of downtown from one of our gorgeous terraces, some featuring whirlpools, saunas, game and relaxation areas with hamacs. Hang out with friends at your urban chalet. Cook with fresh herbs from your kitchen garden. Test your limits at the fully equipped gym. Cool down in the pool, replenish in the spa. Or take it outdoors to the giant park nearby. At Exalto, living space takes on a whole new dimension! Be the first to discover the innovative technology available in our highly evolved living spaces, the possibilities for customization, and our breathtaking amenities. 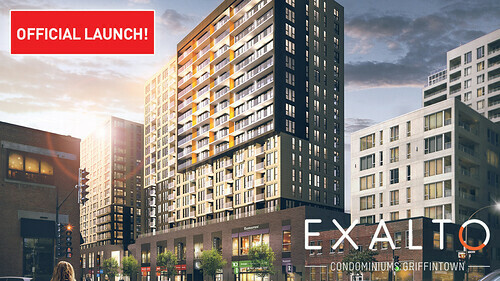 Receive an exclusive invitation to the official Exalto launch as well as access to our best pricing. Several giveaways will be announced in the coming weeks. Stay tuned!